Just came across tennisnuts.com website, which is a UK based site & has Rafa's DavisCup/Olympic Flag Top available, for those who don't mind the UK Shipping rates click below for the buy I guarantee you these will sell out soon, grab one while you can! It's $68.00 US Dollars. 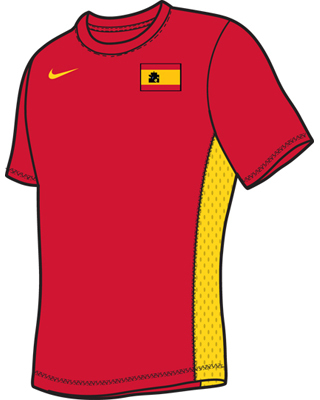 To be worn by Rafael Nadal in all his Davis Cup matches in 2011. Spanish flag on left chest.